Whether your pantry is bare or you have dietary restrictions, if you need a substitute for condensed tomato soup, you will find this quick and easy condensed tomato soup recipe works very well! Are you ever disappointed with a product after you read the ingredient list? Yeah, me too! 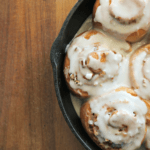 Even when I am lucky enough to find a product without wheat, I am often dismayed by some of the other ingredients like high fructose corn syrup or modified food starch. Fortunately, I have found that creating substitutions from scratch allows me to have complete control over the ingredients, costs quite a bit less, and does not take that much time to do. When we went gluten-free, I realized we could no longer use canned condensed tomato soup, or most other canned tomato soups because they use flour to thicken the soup. I have created a tomato soup substitution recipe that makes the equivalent of one can of condensed tomato soup. 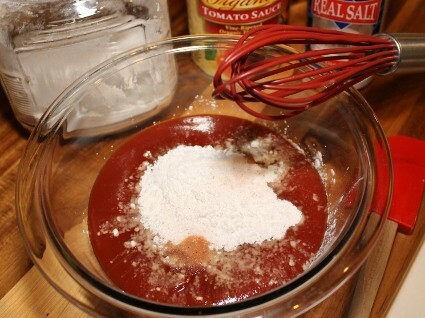 You can use it if you are gluten-free or if you are avoiding some of the other ingredients in canned tomato soup. You can also use this as a replacement for condensed tomato soup instead of running to the store if you find that your pantry is bare. I use organic tomato sauce and non-gmo cornstarch, but you should choose whichever brands you feel comfortable using or have readily available to you. If you are out of white sugar, you can replace brown sugar or honey, but it will slightly alter the taste. 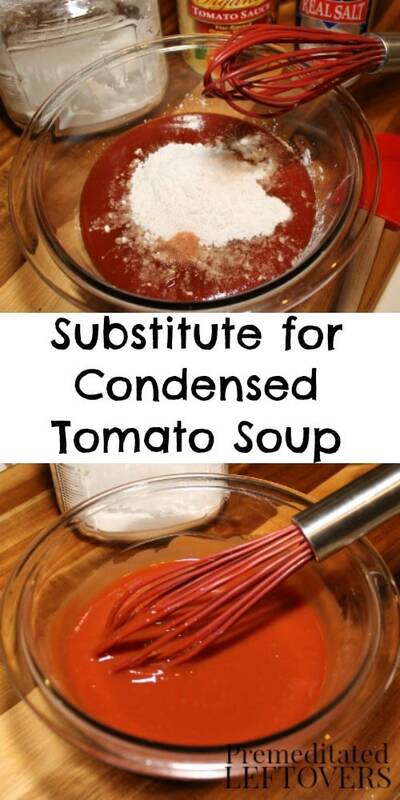 If you are using a recipe that calls for condensed tomato soup, use this substitute as the recipe directs. You can also add 1 cup of liquid (milk, water, or a combination) to make soup, though if I were doing that I would add some seasonings to spice it up a bit! You can also use this recipe in Tomato Soup Cake, which is surprisingly delicious and tastes like a spice cake. Do you have foods that you have to avoid for health reasons? Do you avoid some just based on principle? Have you found healthier substitutions for convenience foods so that you can avoid these items? I pretty much avoid anything that I can make from scratch at home. My daughter has lots of tummy issues and does not respond well to anything that is prepackaged…even if the ingredients listed are "safe" for her to eat. Makes you wonder what's in that stuff. 🙂 Thanks for this recipe! I'll have to try it soon! I agree. I like the canned tomato soup, but shouldn't have all the salt that it contains. This sounds like a good substitution, even if I need to adjust the seasoning. Thanks! You saved dinner! I had no tomato soup, but TONS of tomato sauce. Thanks a million!! I am always dismayed when buying tomato soup because of the high fructose corn syrup… But it is something my daughter likes to eat on occasion. I am extremely pleased to see this recipe. I will try it and hope she likes it better. Thank you so much for this recipe. I googled a substitute today after realizing mid-supper prep that I didn’t have any condensed tomato soup. This was super easy and I think I may never buy tomato soup again! many thanks…and ditto to all the above!! “Are you ever disappointed with a product after you read the ingredient list?” Yeah, Me TOO! Thanks for sharing!! I try to avoid if at all possible all the extra ingredients condensed soups contain.. I don’t mind the extra work when I know I am making a much better choice for my family. Thank you so much for this recipe. I was sick when I needed this for a recipe I was making and couldn’t get out of the house, to get the soup. THIS WORKS PERFECT, I ADDED A LITTLE BIT OF KETCHUP TO THE RECIPE! COULD NOT TELL THE DIFFERENCE BETWEEN THIS AND THE TOMATO SOUP! Thank you for helping me better my families health! This substitue worked like a charm for a recipe I’ve made for years using condensed tomato soup. So happy I never have to go back to that with all the salt and high fructose corn syrup. I am very grateful to this post. I have found a really good tomato tortellini soup that calls for condensed tomato soup. I decided to look for a substitute because condensed tomato soup really isn’t that healthy, and its made with wheat flour! At least tortellini with rice flour I can hand make. Thank you so much for this recipe! This was a huge help – Thanks! I am so excited to try this!! I made the switch to homemade “cream of” soups, but couldn’t find a good substitute for the canned condensed tomato soup… thank you!! 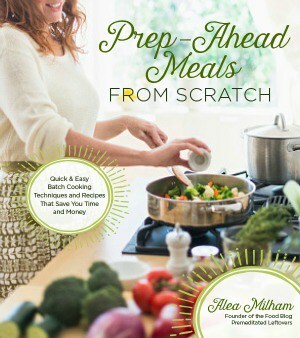 Just tried this tonight in my beef & broccoli recipe & it was fantastic! 5 stars! Excellent taste, super easy to make & I was able to make it completely organic. 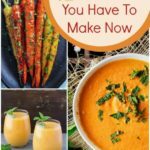 I have been looking for an organic alternative to cream of tomato soup & I’m so glad that I can across your post. Thank you so much!!! You saved my dinner tonight too! I had one can of tomato sauce and made this. It was excellent. I may quit stocking up tomato soup and use this exclusively. I may can my own tomato sauce too. Thanks! Thanks for letting me know! You made my day! Thanks so much for this recipe. I am also living in Germany where condensed soups are almost impossible to find, and when you do find them they are very expensive. Additionally, I love this because I can adjust quantities if I am cutting a recipe in 1/2, so I don’t have 1/2 a can of leftover soup to use! Saved the beef stew tonight! So glad to have found your site, thank you very much. I’m using this from now on instead of the canned condensed tomato soup, in several recipes. Great recipe. I always use a can to make meatloaf (1/2 the can in the meat, 1/2 on top!) and this came a solution for me when I was already half way through making my loaf and found out I had no tomato soup! I might never go back! I have celiac disease and am unable to eat Tomato soup, so I tried this as a substitute in a recipe and it was delicious!!! Thank you so much for sharing!! Will be using this regularly now!! Thanks for taking the time to let me know that my condensed tomato soup recipe worked for you! You made my day! I am so glad that you liked it! Thanks for taking the time to share your experience! What a godsend in finding this recipe. I was out of tomato soup and had tomato sauce on hand. Needed it for recipe and was not going out in the snow for it.Thank you so much for posting this. 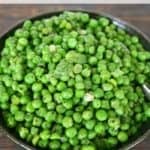 Can this be made ahead and frozen for future Recipes? 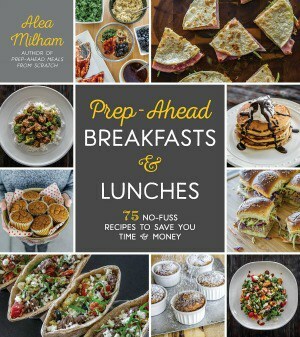 I love this recipe, Alea! I’m not eating gluten free, but I try to stay away from all of the “crap” ingredients and extra sodium that are normally in canned soups. I’m making a stuffed pepper soup and it calls for condensed tomato soup. This will be perfect! Thanks so much. Thanks! This is perfect for when i realize I don’t have any soup in the house, but I do make sure that I pick up tomato sauce each week at the store, so I always have plenty of that! I actually just put the liquid ingredients and the this sub for tomato soup in my slow cooker to heat it up then once it’s warm enough I made and add the tortellini and the other ingredients. Just a quick question (for all us Aussies out there): to us, “tomato sauce” is what you call ketchup… What exactly, then, is the stuff called “tomato sauce”? I couldn’t see the whole can in the picture. Thanks, in advance, for answering. Tomato sauce is pureed tomatoes. It is much thinner than tomato paste. 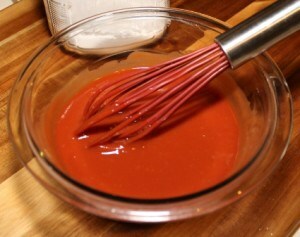 It has a similar consistency to ketchup, but it is just straight tomatoes, no added ingredients. So would just blended tomatoes work? No, you really need the cornstarch to make it thicker. Thanks for the recipe. I needed a gluten free version for my son and I make my own tomato sauce….This is perfect and so simple!! Canned soup is already cooked when it comes from the can. Any suggestions for cooking the cornstarch in this substitute recipe w/o scorching the whole thing in the process? I need it to be cooked for the salad dressing recipe so it can do it’s thickening of the dressing. On an oddly chilly Memorial Day, I have a taste for grilled cheese and tomato soup, but no soup. I added a touch of garlic, onion powders, Italian seasonings, S&P. Perfect with a grilled cheese sandwich while we listen to the rain and put on a sweater…Happy Summer! Can this be made with no sugar? My daughter is unable to have sugar right now. Yes, it can. Obviously it will be a little less sweet, but it will not impact the texture of the soup. Hi, I am in Austalia and here Tomato Sauce is what you would call Ketchup. Could you try explaining what you mean when referring to Tomato Sauce please.